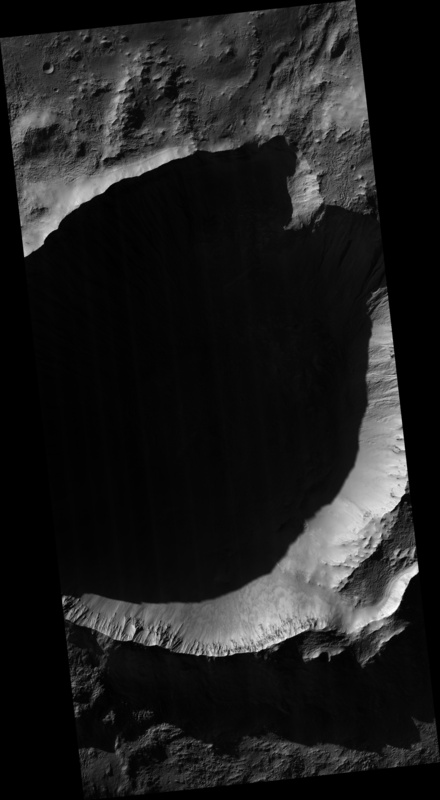 At first glance, this image looks like a mistake because the gullies of interest are entirely hidden in a large shadow filling most of the crater. 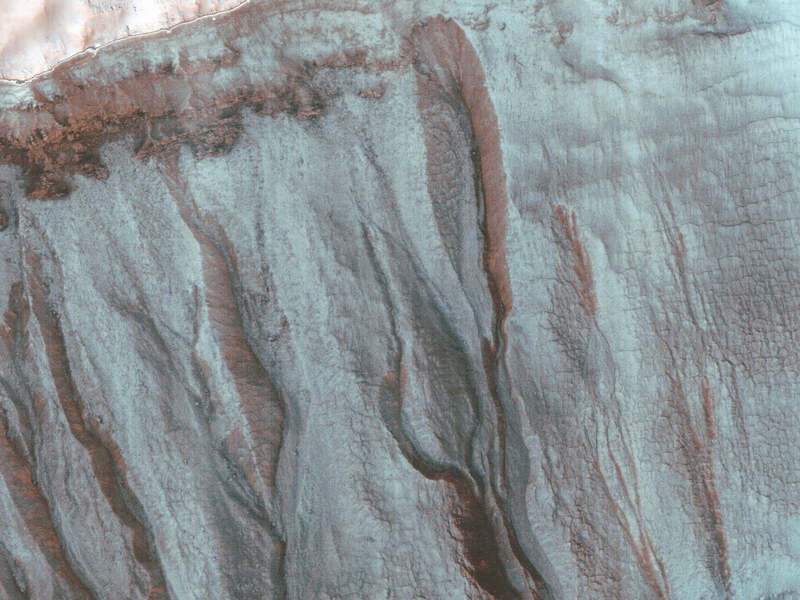 At this latitude, gullies preferentially form on pole-facing slopes, but these slopes are in shadow during northern spring and summer. This image was acquired just after the northern winter solstice, when Southern hemisphere shadows are longest. However, the fine dust in the Martian atmosphere scatters light into the shadows, and HiRISE has the sensitivity to acquire useful images within shadows. The bluish areas are covered by seasonal carbon dioxide frost. 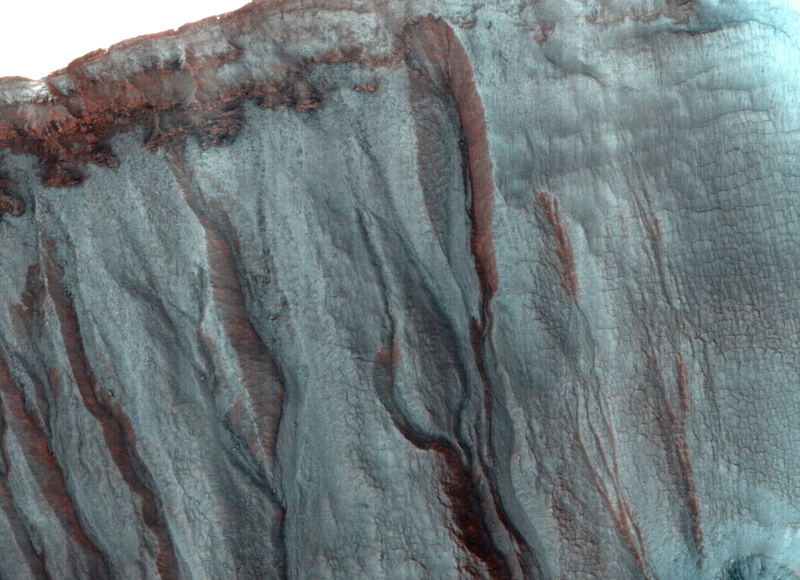 In fact, this frost is key to forming the gullies. A good deal of carbon dioxide condenses in the shallow subsurface, and when it warms up in the late winter, it produces pressurized gas. When this gas escapes it fluidizes loose rocky materials on these steep slopes forming debris flows. 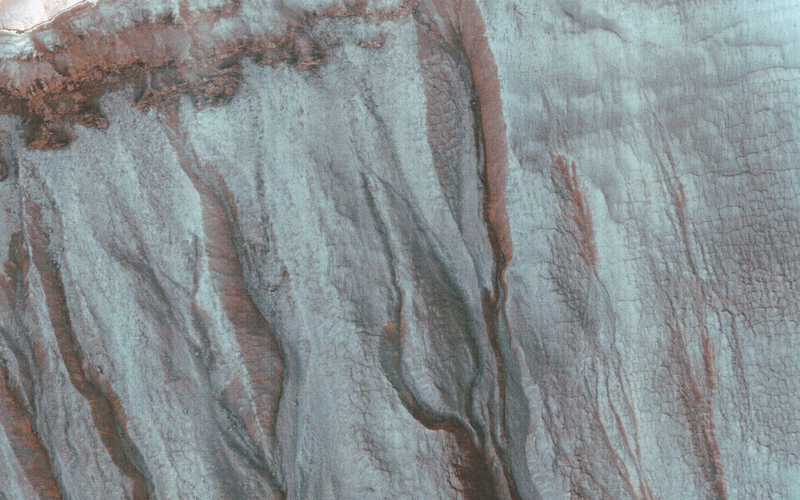 Initially this was considered a type of secondary activity, but we now realize that this activity can fully explain the formation of the fresh-looking gullies on Mars. 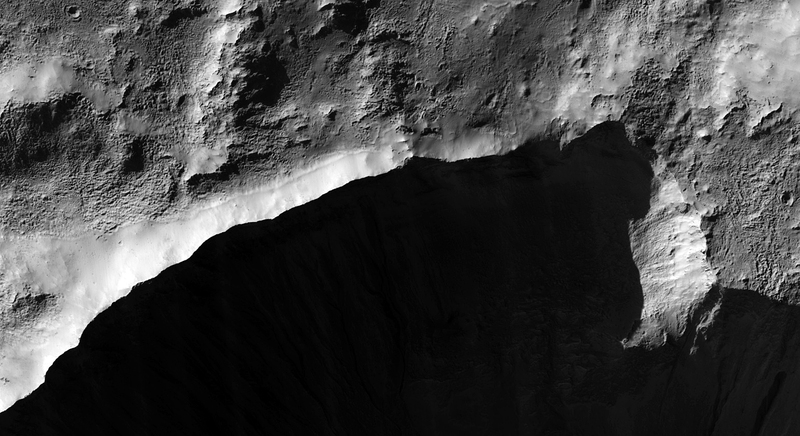 The HiRISE team monitors sites such as this through the winter to better understand the actively-forming gullies.